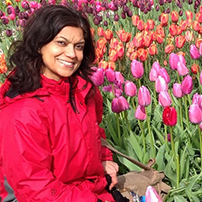 Meera is Reader (Associate Professor) in International Development Studies at the University of East London, where she is also the program leader for MSc NGO and Development Management. She was awarded her Ph.D. on rural non-farm employment in India from the University of Southampton. Her interconnected research interests are multidimensional understandings of poverty, exploring social and economic poverties within the Capability Approach, the Millennium Development Goals to Sustainable Development Goals as a discourse for poverty reduction, and how can globalization be made to work for the most vulnerable communities. She has conducted fieldwork in rural India, Ethiopia and Tanzania. Her book draws on her research in rural Bihar, India. She has also conducted research for social impact evaluations of state supported programmes on poverty reduction and livelihoods as well as of grassroots interventions by NGOs in India, Lebanon and Brazil in various domains of development.